Here they all are with a little extra Bam! Pow! Zap! for good measure. 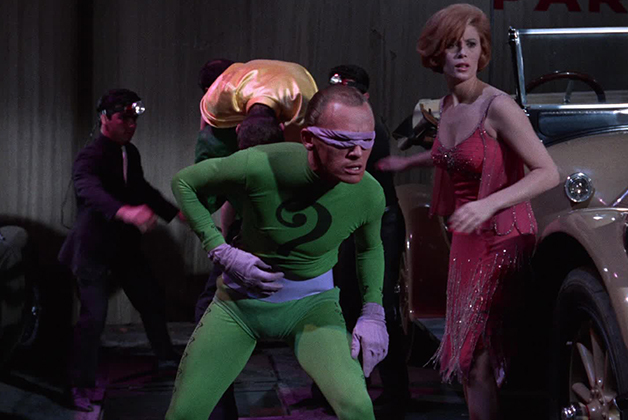 The quintessential (and first) Batman villain to star in the 1966 series, Frank Gorshin would end up playing The Riddler in all of the character’s appearances in the series except for a two-episode span during season two when John Astin stepped into the green tights. 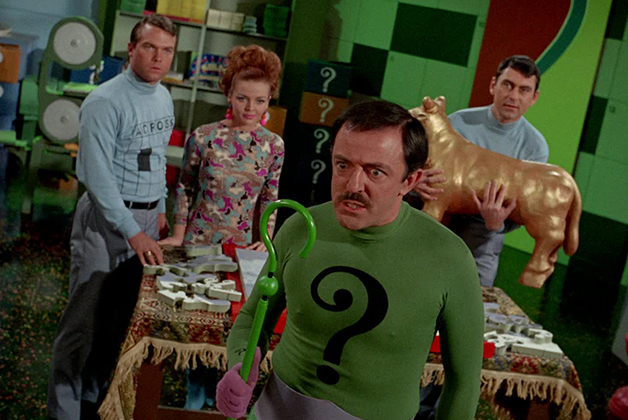 Perhaps best known for playing Gomez Addams in The Addams Family, John Astin donned The Riddler’s costume for a short two-episode arc during Batman’s second season. 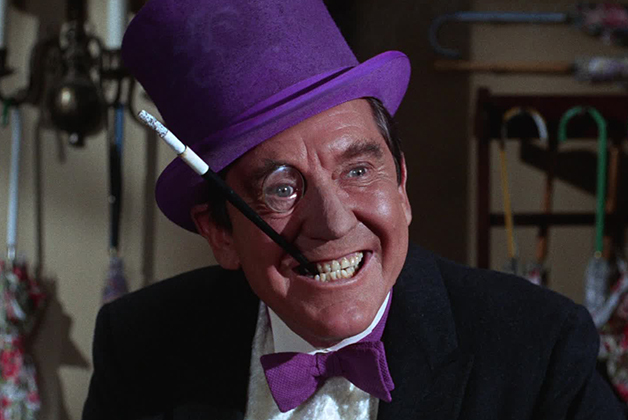 Burgess Meredith’s portrayal of The Penguin may be the most iconic of the entire series (at least in appearance). 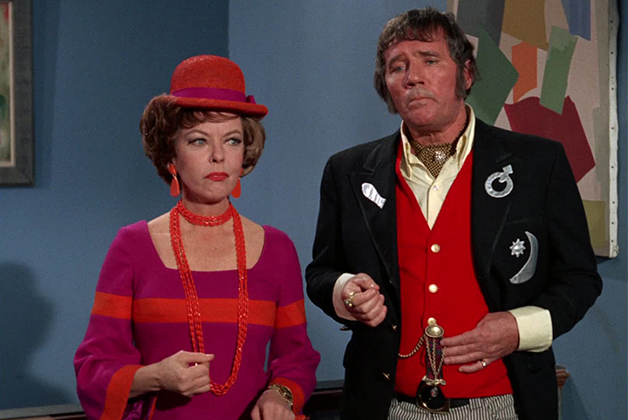 With his purple top hat, monocle, and long cigarette, Meredith’s Penguin appeared in more Batman episodes (20) than any other villain. 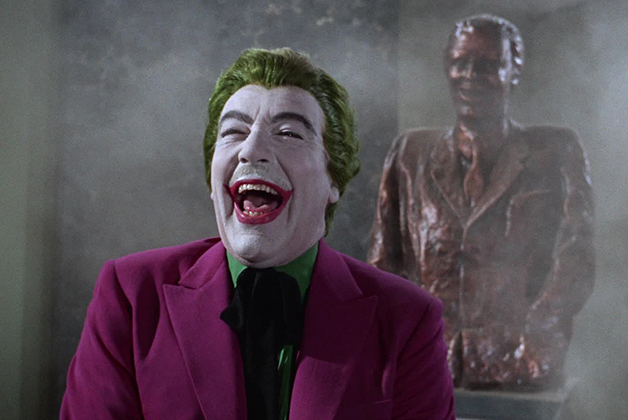 Second only to Burgess Meredith as The Penguin, Cesar Romero appeared in Batman as The Joker in 19 episodes in total. Known for his bright green hair, stark white makeup, and wide smile, Romero’s Joker would become one of the show’s most memorable villains. The actor famously refused to shave his signature mustache and you can see it under the white face paint particularly well on the high-definition transfers included on this Blu-ray box set. Appearing as Mr. Freeze for only two episodes during the show’s first season, George Sanders's Mr. 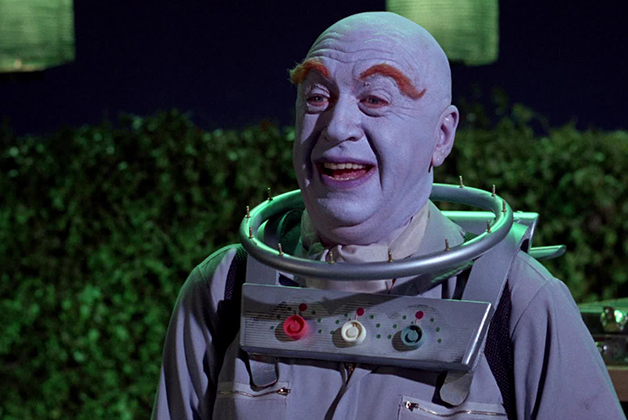 Freeze was quite low-tech compared to the getups that Otto Preminger and Eli Wallach would wear during season two. When he did eventually don his signature suit, Sanders looked more like an astronaut than a villain with super freezy powers. Legendary, groundbreaking director Otto Preminger (Laura) took over the role of Mr. Freeze for two episodes during Batman’s second season and gave perhaps the most bizarre (and cool) performance of the three actors that would play the character. Eli Wallach played the frigid villain for the final two episodes of season two. His Mr. 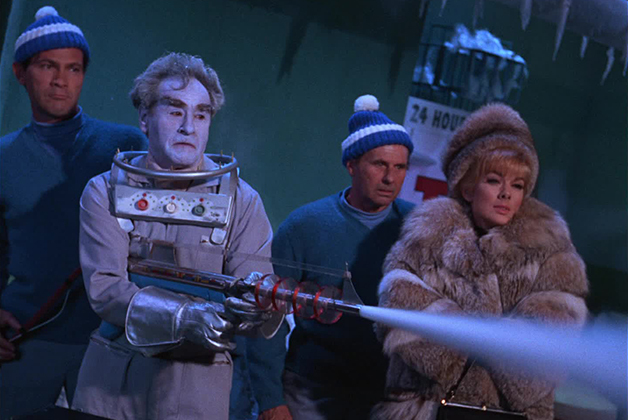 Freeze, who discovered an instant ice formula, is easily the most mustache-twirlingly and villainous of the three versions. For many fans, his version is also the most memorable. 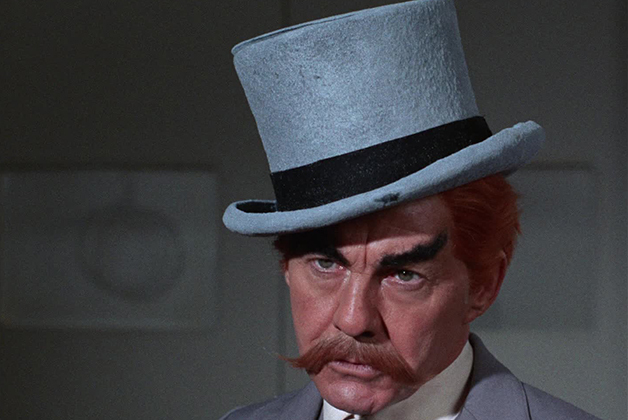 Screen and stage veteran David Wayne played The Mad Hatter in four episodes spread over two seasons of Batman. 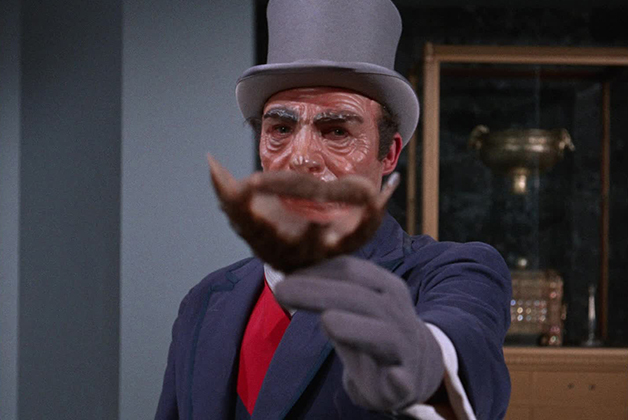 The villain, who is obsessed with getting his hands on Batman’s cowl, concealed a Super Instant Mesmerizer in one of his many hats in an attempt to get the job done. The Dynamic Duo, of course, had other plans. Malachi Throne was a staple of geek TV throughout his career: He made appearances in Star Trek: The Original Series, Star Trek: The Next Generation, Lost in Space, The Six Million Dollar Man, Babylon 5, and many more nerd-centric shows. 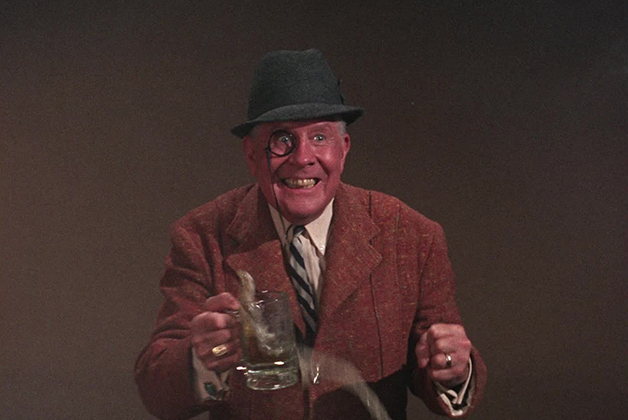 We don’t even really get to see his recognizable face in Batman, however, as he played a villain named False Face, who looked different nearly every time we saw him. 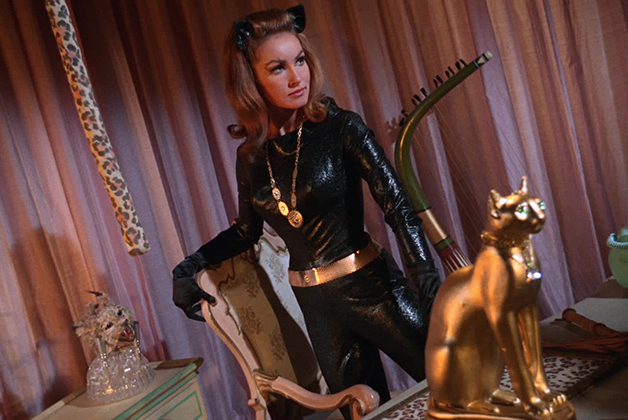 Appearing in 13 Batman episodes over the show’s first two seasons, Julie Newmar’s Catwoman tussled with The Dynamic Duo more than any other female villain in the series. 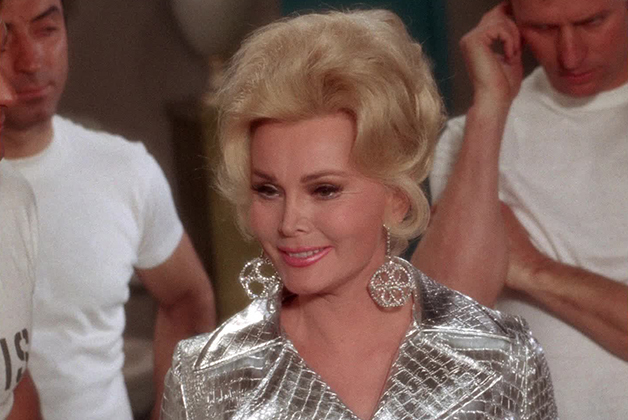 Not only did her appearance on the show make her the object of many a young man's affections, but it also helped establish the general look of the character on-screen for years to come. Julie Newmar left some mighty big paws to fill when she didn’t return to the role of Catwoman for Batman’s third season. But, if you’re going to try to fill them, you might as well do it with a legend like Eartha Kitt. The singer, actress, and all-around dynamo donned the catsuit and purred her way into the hearts of Batman fans everywhere. Lee Meriwether played Catwoman in the 1966 movie. 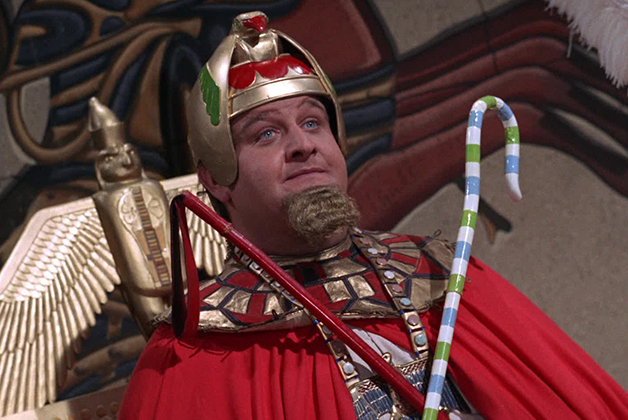 Ever the performer, Victor Buono’s over-the-top performance as Batman original villain King Tut earned him appearances in eight separate episodes over the show’s three seasons. The actor reportedly loved playing the character because it allowed him the opportunity to overact, one of the aspects of the character that makes King Tut so beloved (and if there’s ever a place to overact, the Batman series was a great place to do it). 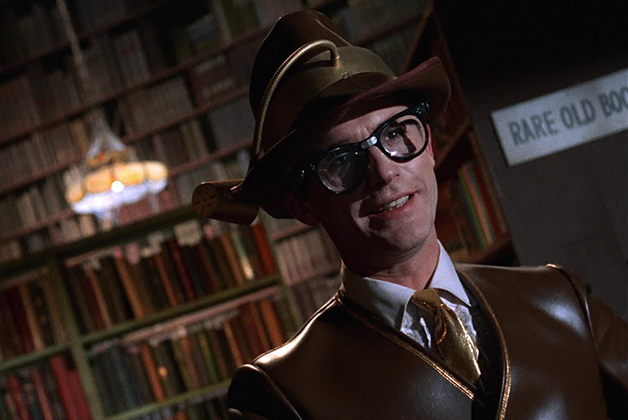 Between film, TV, and theater, Planet of the Apes star Roddy McDowall’s resume is a mile long—so it should come as no surprise that he was able to sneak in two episodes as an original villain named Bookworm on Batman. Committing crimes inspired by literary works, Bookworm was created for the show, but would later come to figure in the Batman comic books as well. 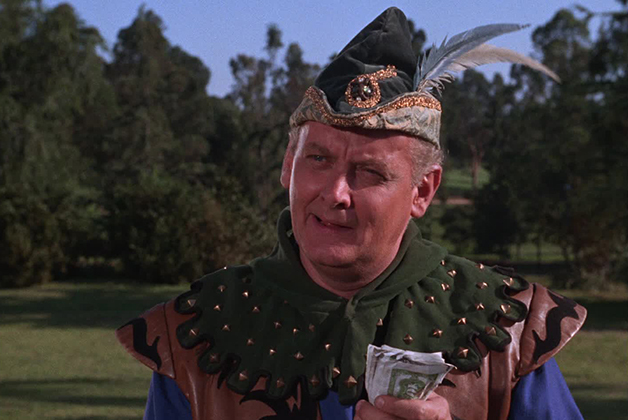 Once you realize that The Honeymooners veteran Art Carney is playing Batman villain The Archer in the first two episodes of the show’s second season, you should immediately know that the character is mostly going to be played for laughs. Based on the classic Robin Hood character, The Archer did his own brand of robbing the rich to feed the poor along with two henchmen (and one henchwoman) cleverly named Maid Marilyn, Big John, and Crier Tuck. 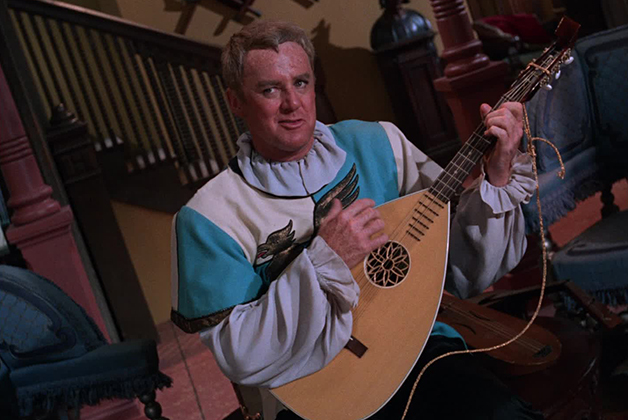 Minstrel only appeared in two season-two Batman episodes, but he’s a tough one to forget because Van Johnson’s performance is so mesmerizing. The villain was about as milquetoast as one gets—he abhorred violence and sang songs about the crimes he had committed (or was about to commit)—but it’s still hard to get Minstrel out of your head. 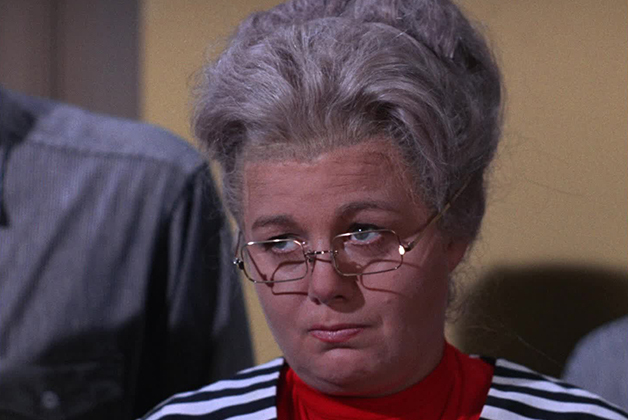 Season two villain Ma Parker was all about Shelley Winters's hilariously evil performance. Full of bravado and a pun a minute, the character was a simple country mother who has an affinity for powerful guns. Along with her three sons Pretty Boy Parker, Machine Gun Parker, and Mad Dog Parker, and one daughter named Legs Parker (that Ma really couldn't stand), they gave The Dynamic Duo a run for their money. 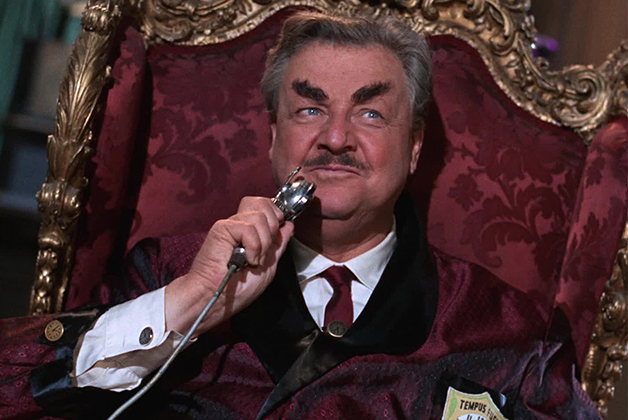 Tony Award-winning actor Walter Slezak suited up as Clock King for two season-two episodes of Batman using an antique clock to loot a jewelry store before Batman and Robin are on his tail. Though Clock King actually had pretty deep roots in the DC Comics universe, this version was a wonder all its own with Slezak’s trademark expressions and villainy leading the way. Oh, and one really big hourglass. 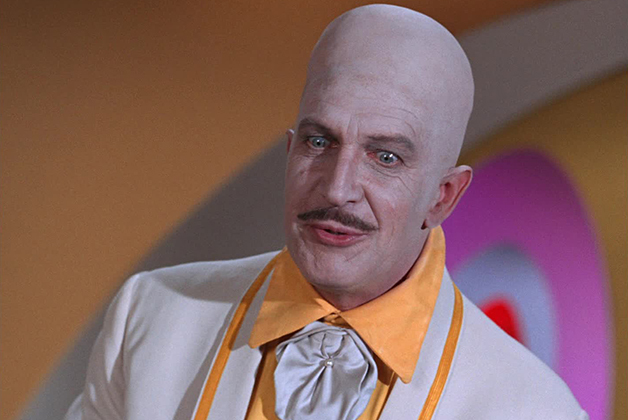 It’s hard not to love Vincent Price’s hilariously campy portrayal of Egghead during five episodes in Batman’s run. With his signature white and yellow suit and enormous bald head, Price overacted to perfection as the extremely intelligent, eggcentric (get it?) villain. The character had a lair decked out with bacon and egg drawings on the wall and tossed laughing and tear gas eggs at his foes. Egghead is, quite possibly, the most lovable of all Batman villains. For two episodes, the piano virtuoso played both Chandell (the piano player) and his twin brother Harry (who, it turns out, is the real villain here), and the results were a lot of fun. 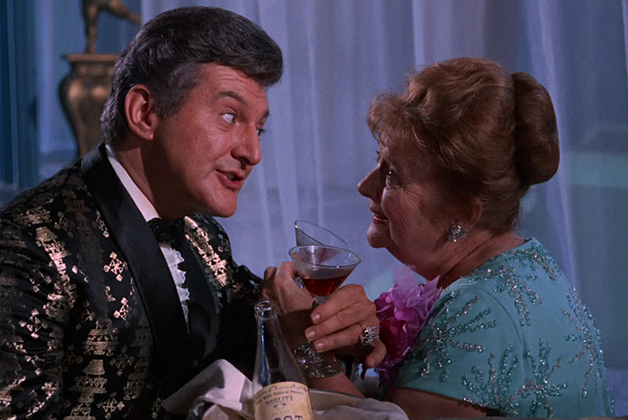 If only we could have seen Liberace play more villains throughout his career, TV would have been a far more interesting place. Here’s a bit of cool trivia for you: Carolyn Jones, who played the diamond-loving villainess Marsha, Queen of Diamonds in five season-two Batman episodes, also played Morticia Addams in ABC’s The Addams Family. 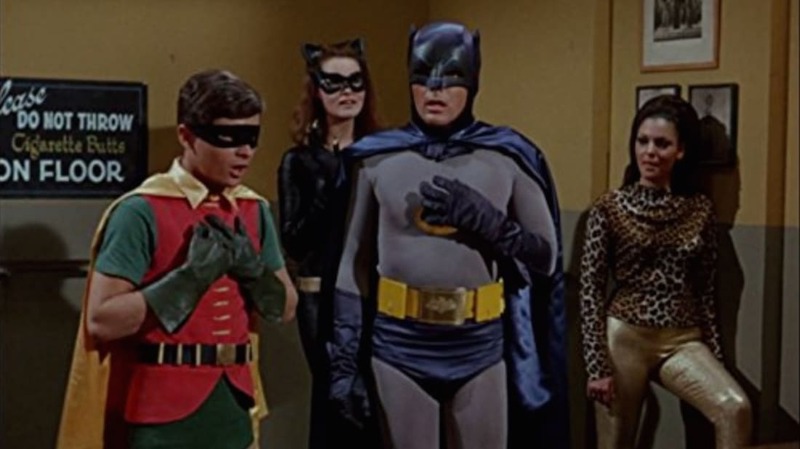 We already told you about John Astin’s connection to that series, but there’s also a brief appearance by Ted Cassidy (who played Lurch in that show) during one of Batman’s iconic Batclimbs. How’s that for synergy! 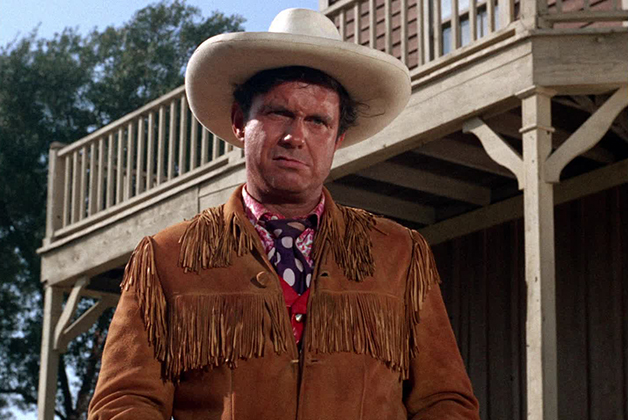 Clearly a spoof of the classic 1953 Western movie character Shane (from the movie of the same name), Cliff Robertson’s villain Shame appeared in four Batman episodes with two different posses. In the first, he was joined by Okie Annie (Joan Staley)—an obvious riff on Annie Oakley—and, in the second, he had Calamity Jan (Dina Merrill) by his side. 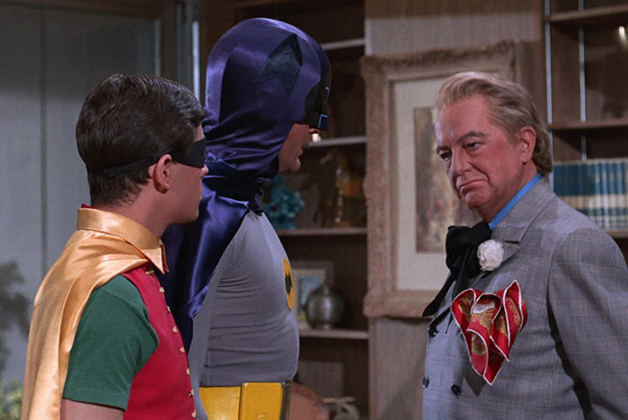 Not to be confused with The Riddler, Maurice Evans as Puzzler also liked to keep Batman and Robin confused with clever puzzles, word games, and tricks. 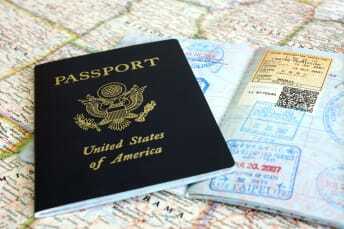 He was often seen reciting Shakespeare and had a thing for aviation. According to Wikia, Puzzler’s appearance only came about because Frank Gorshin no longer wanted to play The Riddler during season two, so the show slotted Puzzler into these two episodes instead. Of course, John Astin would play The Riddler later in season two and Gorshin would return to the green tights in season three. 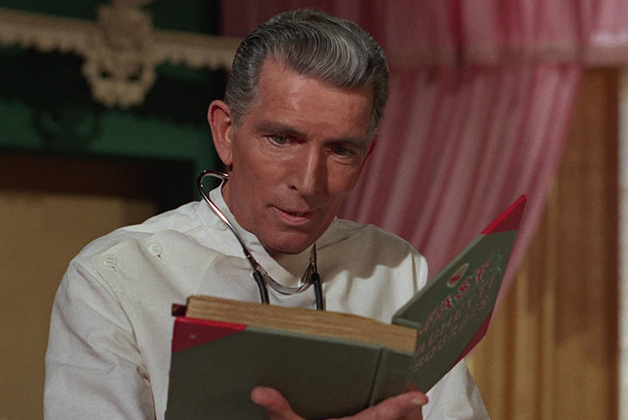 Portrayed by veteran actor Michael Rennie, Sandman’s two-episode appearance during Batman’s second season was often overshadowed by the fact that he was working alongside the beautiful Julie Newmar as Catwoman. 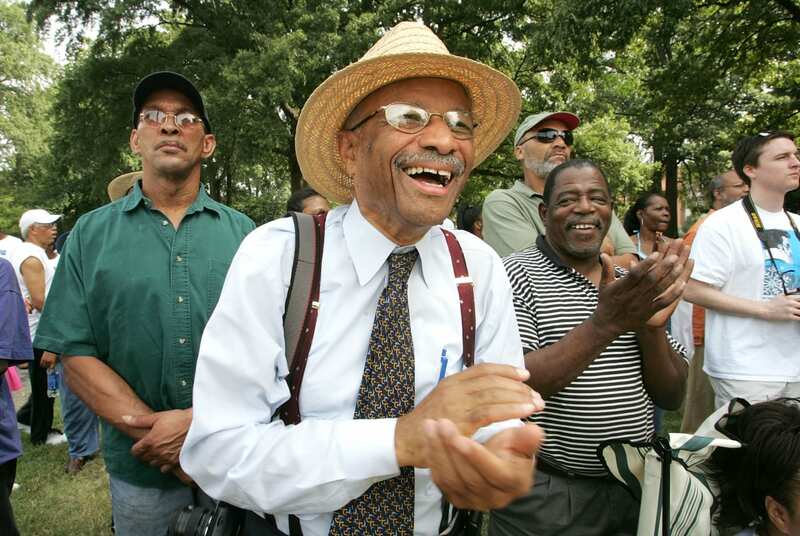 But fans should give the shifty Dr. Somnambular his due—the guy did have sleep powers after all! 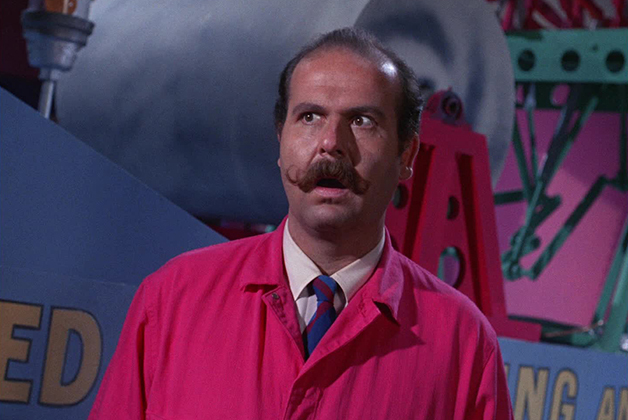 Roger C. Carmel’s performance as Colonel Gumm is mostly remembered for the villain’s penchant for wearing pink, being surround by pink, and being obsessed with stamps. The real memorable thing about Colonel Gumm’s two-episode arc, however, is the fact that the episodes featured crossover appearances by Green Hornet (Van Williams) and Kato (Bruce Lee). 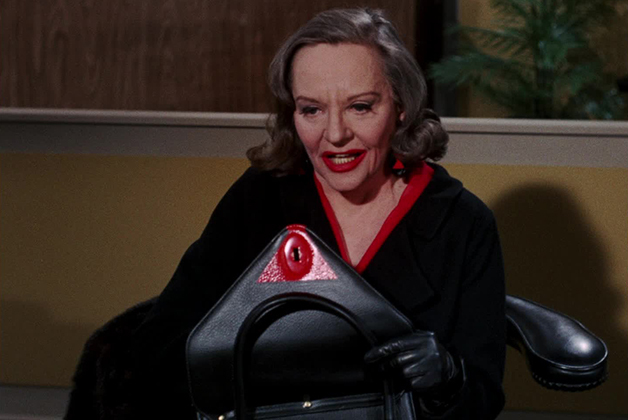 The most tragic thing about the great Tallulah Bankhead’s fantastic performance as season two villainess Black Widow in Batman is the fact that it would be her final on-screen role. Decked out in her signature black and red outfits, the character was unforgettable—whether she was stealing from a bank or hanging out in her stunning spider-themed lair. Siren, played by Joan Collins, began her entrance into the world of Batman as a bit of a sidekick in The Riddler’s devious plan to take over Gotham City’s boxing game. 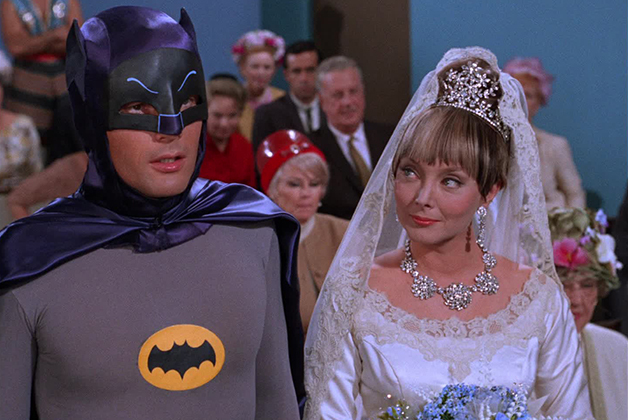 By her second episode, however, the singing Siren made a plan to uncover Batman’s true identity all by herself. Memorable for her beauty, luxurious outfits, and her ability to mesmerize men with her high-octave tunes, Siren made an indelible mark on the series in the span of only two episodes. Despite the charming and talented Ethel Merman’s performance, Lola Lasagne was one of Batman’s least interesting and memorable villains. For one, her weapon of choice was the parasol. 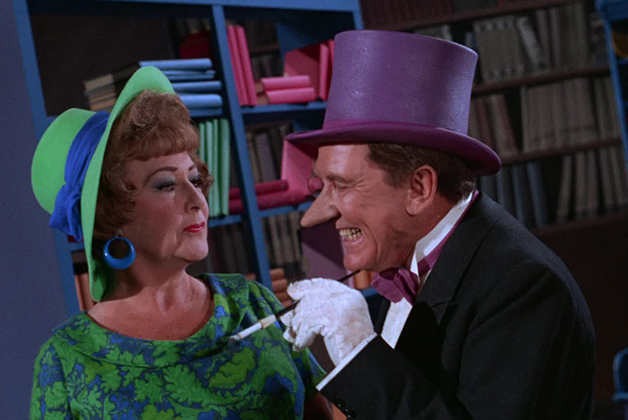 Secondly, she mostly played in the shadows of one of the show’s most memorable villains, The Penguin. If it weren’t for Ethel Merman, we might not remember Lola at all. 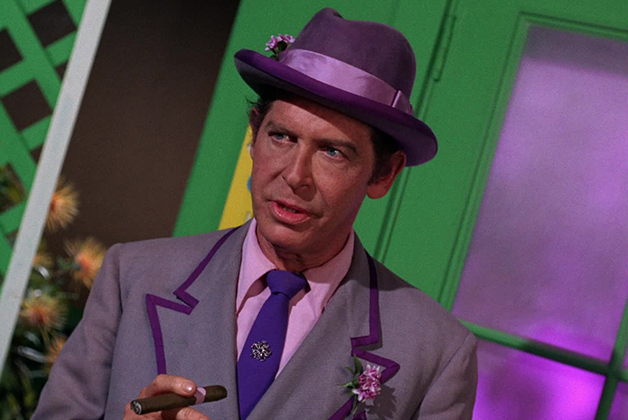 Louie the Lilac, on the other hand, made a huge mark on Batman by being such a bright, colorful character (with such a recognizable face behind it) that two episodes are more than enough to make fans remember him. There’s a whole lot of Milton Berle himself in Louie’s demeanor, even down to the actor’s signature cigar, which is part of what makes the character (created specifically for the show) work. Louie the Lilac also went on to appear in five episodes of the animated series Batman: The Brave and the Bold. 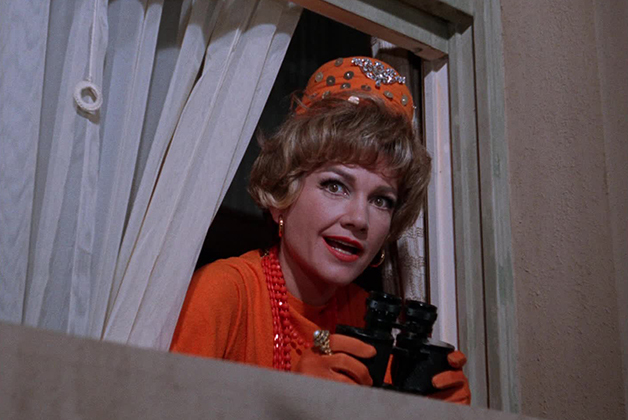 Remember how we told you that Zelda the Great would not be the last you’d see of Anne Baxter in Batman? That’s because she’s the show’s only guest villain to ever return to play a different villain on the show later. This time around, she portrayed Egghead’s main squeeze, Olga, Queen of the Cossacks. The showy villainess mostly sat back while Egghead and his henchmen took care of business, but she’s a memorable character nonetheless. The coolest thing about Lord Marmaduke Ffogg (who appeared in three episodes as the co-villain alongside his sister Lady Penelope Peasoup) was easily his Pipe of Fog. All the venerable lord had to do is light that thing up and the room would start to fill with a white, puffy smoke—perfect to conceal his getaway. Played by Rudy Vallee, the villain also wore a special cast on his foot to make people think he had the gout and was, therefore, incapable of pulling off his crimes. Clever man. Though Lord Marmaduke Ffogg appeared to be the main villain in this three-episode arc, his sister Lady Penelope Peasoup actually came across as more interesting and charismatic. 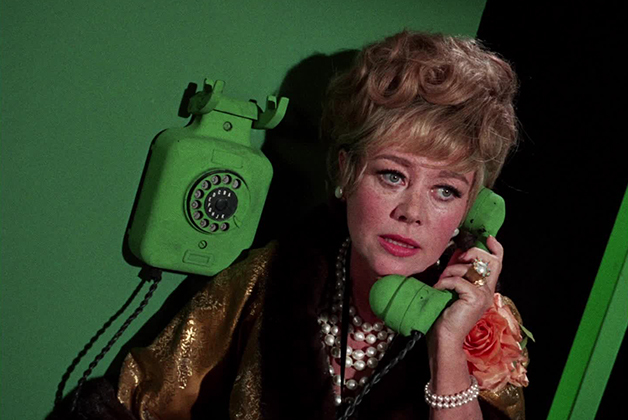 Despite being relegated to mostly taking charge of the female criminals in their charge, Lady Penelope (played by Glynis Johns) makes her mark on the series. 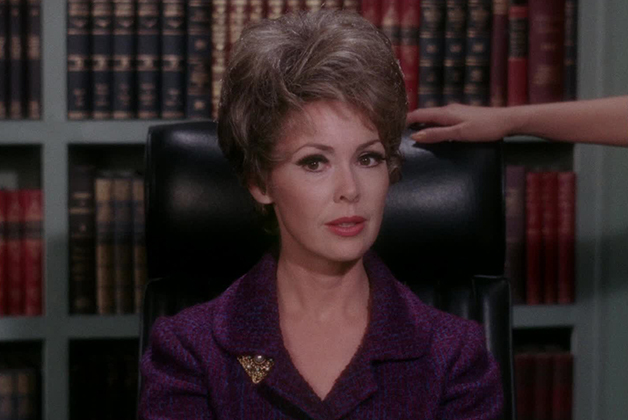 It’s almost a shame that someone as talented as Barbara Rush (It Came from Outer Space) was saddled with another of Batman’s least memorable villains. 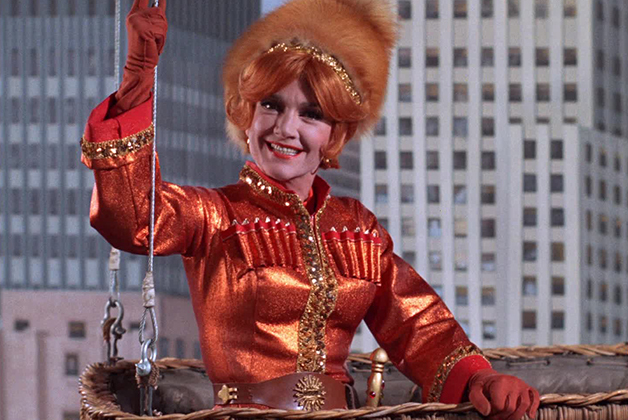 In her one appearance on the show, Nora Clavicle used her wits and charm to convince Mayor Linseed to give her the Commissioner job, which is all part of a devious plan to destroy Gotham City and collect on an insurance claim. How did she plan to do it, though? With mechanical mice. Since she replaced the police force with housewives, they’re all afraid of mice. Pretty sexist, right? Ahh, those crazy 1960s. 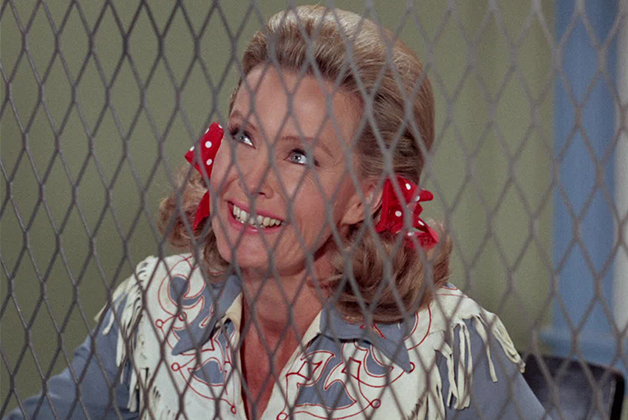 It’s a shame that Batman didn't really let Dina Merrill’s Calamity Jan be much more than arm candy for their western spoof villain Shame, but at least the actress does the best she can with the material she’s got. Calamity Jan came across as adorable and silly, but just smart enough to probably be able to ditch Shame and bring Batman and Robin to their knees. Sadly, we’ll never know if that’s true since she’s mostly playing second fiddle to Cliff Roberston’s Shame. 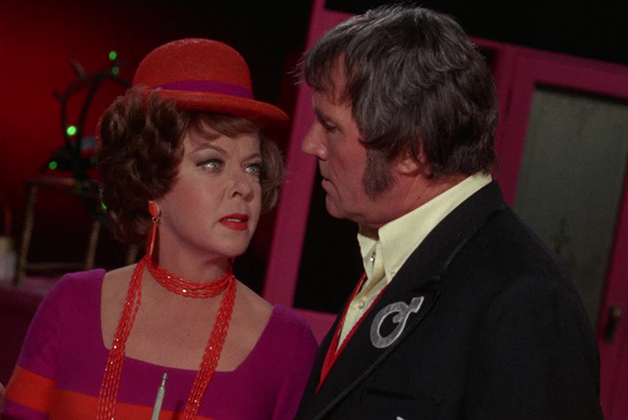 Ida Lupino helped pave the way for female directors of our time, so it should come as no surprise that she was very much the leading power in the villainous duo that headlines Batman’s penultimate episode. Dr. Cassandra Spellcraft comes from a long line of female alchemists, but she’s determined to be the only successful one. So she uses her power to bring down the Bat. Or tries, at least. She’s a bright, colorful character in many ways, but the way she puts her silly husband Cabala in his place is the very best thing about her. After a few episodes that featured female villains mostly relegated to storylines dominated by male power (Nora Clavicle and Calamity Jan), it was great to see one where the man completely and utterly does anything he can to make his wife happy. Played by Howard Duff, Cabala is less a villain and more a sidekick to Dr. Cassandra Spellcraft. 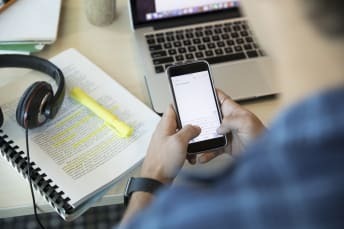 He’ll do anything to please her, calls her “Doccy Baby,” and can often be caught checking himself out in the mirror rather than plotting villainous schemes. 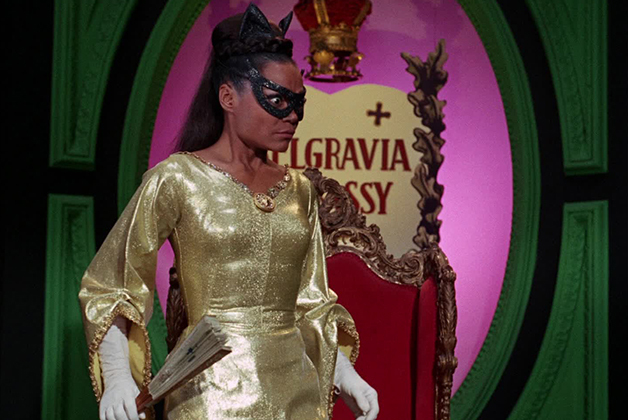 Batman’s final villain is also one of its most glamorous. 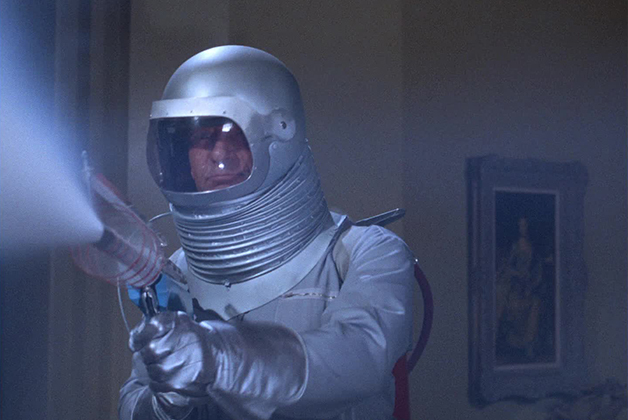 Played by Zsa Zsa Gabor, Minerva opened a health spa in Gotham City and used her Deepest Secret Extractor to run amok. She’s pulling off robberies left and right, and even Alfred gets involved going undercover to help The Dynamic Duo. What makes Minerva so memorable, however, is the star power of Gabor. Sure, she’s mostly just said “Darlings…” a lot, but her appearance as the platinum-dressed villainess will likely never be forgotten. All images courtesy of Warner Home Video unless otherwise noted. The Crypts of Winterfell have been the center of attention in the first two episodes of Game of Thrones's final season, and it seems like the location is only going to play a bigger part in what's to come. In the upcoming battle against the army of the dead, anyone who can't or shouldn't fight, such as Gilly, her son, and even Tyrion Lannister, has been instructed to retreat to the crypts. But considering this battle is supposed to be the biggest in the show's history, some fans aren't convinced that the crypts are as well protected as the series' characters seem to think—especially since so people have repeatedly made mention of how safe they are. (Foreshadowing much?) Besides being very close to the site of the battle happening right up above, the location leaves those hidden very vulnerable, as there seems to be only one way in and out of the maze-like corridors. Many fans have speculated that the battle will be the perfect opportunity to resurrect a few fallen Starks, which could be who we saw Arya Stark running from in the season 8 preview. Beyond that, however, TIME argues that the Night King might be heading straight to Winterfell for one person in particular buried in the crypt. Before the events of Thrones, there was a war between the White Walkers and humans that drove the undead north, while Stark ancestor Bran the Builder built the wall to keep them there. The publication speculates that cold came to Winterfell and the castle was constructed to contain a being called "the Great Other," who is the Lord of Light's opposite—the god of darkness, cold, and death. Some believe he was buried in or beneath the crypt, and that the oft-mentioned "there must always be a Stark in Winterfell" imperative was part of the magic needed to keep the Great Other in its place. Unleashing the Great Other would certainly be a game-changer in the highly anticipated battle. Whatever is truly down there, we can likely expect many more creepy scenes from the crypt (if Arya's running scene is any indicator). And we're betting those seeking shelter below Winterfell won't be nearly as safe as everyone hopes. When the highly anticipated final season of Game of Thrones premiered earlier this month, fans were pleasantly surprised at the new opening credits, which showed a more detailed map of Winterfell and King’s Landing. But fans know the series doesn't do anything without purpose and potentially hidden meaning, so surely there are lingering clues in the credits for us to interpret ... right? According to Inverse, there could be a clue in the gold band of the astrolabe that spins around the Game of Thrones banner. The band now depicts moments from the past seven seasons of the show, with one of the images potentially foreshadowing something about Daenerys Targaryen. 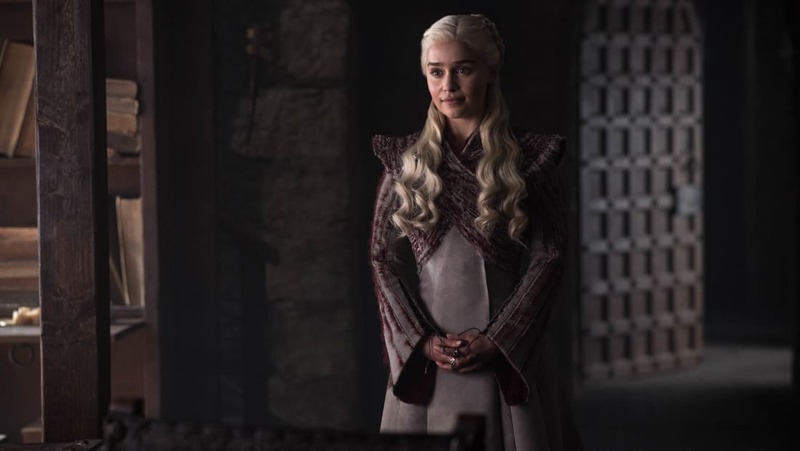 A fan theory floating around over the years has argued that Dany is really Azor Ahai, and the new season’s opening credits might just confirm that. Azor Ahai, a.k.a. the Prince That Was Promised, was the leader in a battle long before the events of Thrones between the White Walkers, the first humans, and the Children of the Forest. Fast-forward to the present, and the White Walkers are once again the biggest threat to humans, so many fans have been hoping the prophecy that Azor Ahai will be reincarnated will ring true. 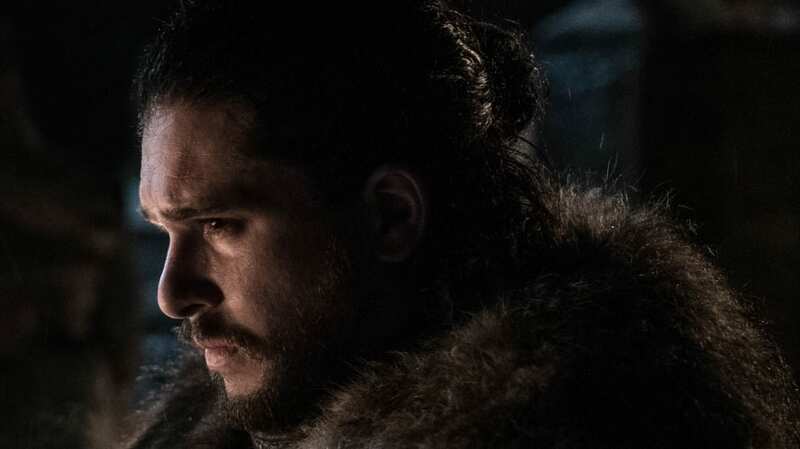 Fans have placed their bets on Jon Snow becoming this long-awaited prince, considering that Melisandre hinted at it when she brought him back from the dead, and because it’s been revealed he’s the true heir to the Iron Throne. Daenerys actually being Azor Ahai would mean two things are probable: She’ll be the one to defeat the Night King, and she might have to kill Jon—neither of which are entirely unbelievable. While we know the Mother of Dragons will be essential to the remaining episodes of Game of Thrones, we’ll have to wait and see exactly how.